What’s the next big thing in search? It kind of depends on who you ask and how much booze is swirling around in her coffee cup. It’s local… no, it’s social… no, it’s mobile… no, it’s A + B + C = EMC² x 3. ReadWriteWeb’s Richard MacManus argues that the next big Internet thing is… wait for it, wait for it… topic pages. While he draws a clear distinction between this phenomenon and traditional content curation, MacManus notes that the modern Web is way too noisy and we need more sites that organize third-party content in a meaningful way. I couldn’t agree more. Well, I could, but then I’d owe Mr. MacManus a totem pole, a Tootsie Pop and a tattoo of a dancing taco. So, let’s just stick with the facts, shall we? Content curation is a needed skill that will only grow in importance as more big brands and publishers flood the Internet with all kinds of content. Curation can be a fun, rewarding and highly effective part of your online marketing mix. Curating content requires skill, tenacity and, above all, an unflinching focus on the needs of your audience. So, how do you do it? I’m so glad you asked. I’ve assembled a collection of solid strategies and tasty tactics that will help you consistently out-curate your competitors. Read on like Donkey Kong! The biggest temptation all search marketers face is to sell our souls to the Borg and AUTOMATE EVERYTHING. Don’t have time to compile data, build links or make delicious dumplings for the kids? No worries, there’s an app for all of that crap. Don’t get me wrong, I appreciate time-saving tools as much as anybody. 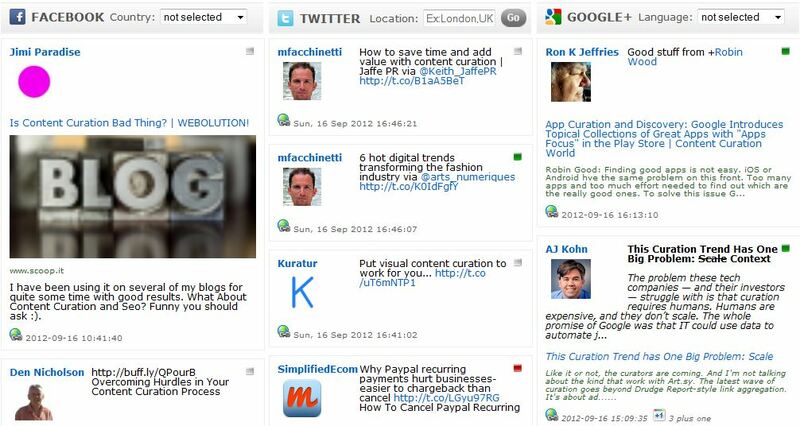 And you can find plenty of reputable content curation services, including XYDO, Curata and Intigi. I just don’t recommend shoving all of your eggs into the same stinky basket. An effective curation strategy requires a healthy variety of sources. If you expect any one tool to do all of the work for you, you’re going to miss a lot of remarkable content. So, use a fancy tool as one of your filters, if you wish. But don’t fool yourself into believing you can just put it on autopilot and watch it magically send you everything you need to succeed. Rome wasn’t built in a day and neither were any of Victoria Secret’s fabulous form-fitting bras. If your goal is to curate content that provides true value for your audience, you’ve got to out-hustle all of the namby-pamby posers in your niche who claim to be curating, however half-heartedly. Om Malik’s weekly roundup of interesting online articles is one of the few emails I actually look forward to reading on a regular basis. Although it intentionally lacks a laser-like focus, Om’s recommended reading list consistently delivers incredible value. He is such a voracious reader that he always finds fascinating content that I haven’t come across on my own. Drill down. Triangulate. Stop, drop and roll. Do whatever it takes to intensify your content curation efforts to the point that you are seriously rocking the shiggedy out of a little sumpin, sumpin. Create Twitter lists of experts and thought leaders in your niche. Save Twitter searches for relevant keywords. Build customized MyAllTop pages to keep up on industry blogs. Set up Google Alerts for targeted keywords. Subscribe to blogs by RSS and view them in Google Reader. Create topical lists on Facebook. Perform keyword searches in Trackur. 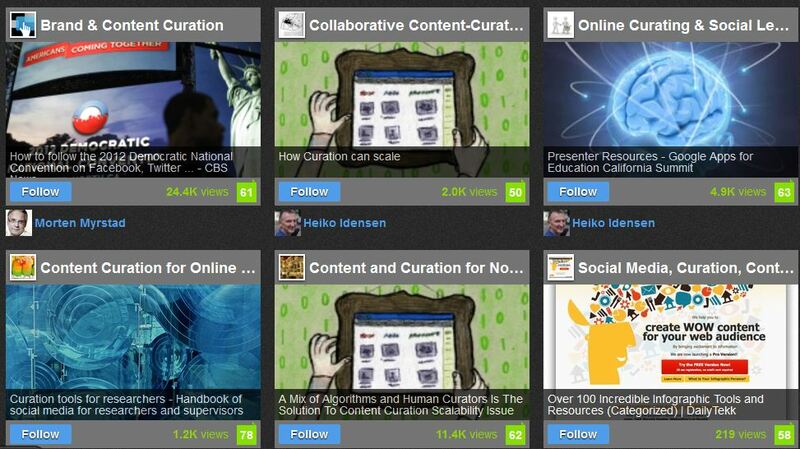 Explore Regator’s curated blog directory. Hunt down content by category on StumbleUpon. Find applicable articles and experts with Topsy. Dig into the bookmarked items on Delicious. Keep an eye on curated niche sites that serve your audience, like Inbound.org. 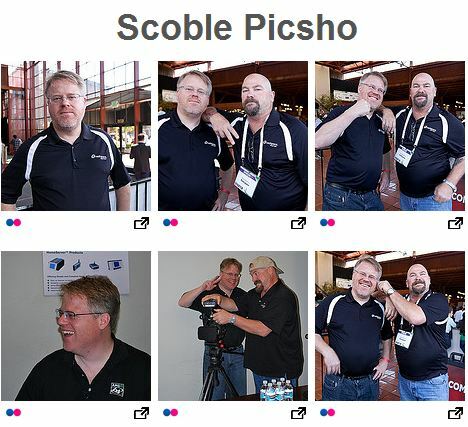 Scour the Web with Snip.it and Scoop.it. Drop your keywords into Bottlenose. Scan the curated lists on List.ly. Sign up for a personalized email digest from YourVersion. Say hello to your little friend: Social Buzz. Swing by Ice Rocket and ROCKZi once in awhile. Content is king. Betty White is queen. And Humpty Dumpty is stinkier than an old lady’s bunions smothered in onions. The point here is that you should not — I repeat, should not — base your entire curation strategy on text-based blog posts and articles. Spice things up with relevant podcasts, videos, images, photos, infographics, forum threads, screencasts, webinars, presentations, research, PDFs and anything else that will benefit your audience or brighten their day. Your ultimate goal is to create value out the wazoo. The wider you cast your net, the more value you will provide to the people you serve. I like to cram tons of different sources into my content funnel at the beginning of each new curation project. Then, once I’m convinced I’ve cast my net wide enough, I begin the crucial process of whittling down those sources into a much more manageable list. It’s kind of like a brainstorming exercise. If your focus is too narrow at the start, you run the risk of overlooking some amazing opportunities. So first, fill your funnel to the brim. Then cherry-pick the highest-quality sources and kick the rest to the curb. That’s a little technique I like to call source pruning. It’s similar to link pruning, but it’s slightly less stinky. You also can use another little technique I like to call bon bon eating. Just kidding. It’s really called favorites poaching. And it’s a lot easier than it sounds. All you have to do is visit the Twitter profiles of authoritative voices in your niche and comb through the tweets they have favorited. You’re bound to find valuable content and some new authoritative sources you aren’t stalking yet. If you’re going to out-curate your competition, every piece of content you serve to your audience has to be exactly the right piece of content. Hey, it’s good to have goals, right? Set high standards and strive to exceed them. Will my audience find this content useful or interesting? Is the source credible and trustworthy? What’s the likelihood that the people in my audience have already seen this? What’s the likelihood that members of my audience will bookmark this or share it with their own networks? Can I find something better on this same topic? This Shamu-sized post doesn’t even begin to address how to organize all the amazing third-party content you collect. We’ll have to leave that discussion for another day. I hope you find this information useful. I had a lot of fun writing it up. Curate with confidence, my friends. What am I wrong about? The comments section would be a lovely place for you to set the record straight. There Are No More Original Ideas. Now What?